Town Village commercial green area looking south. Photos courtesy of Liberty Park Joint Venture. Residential development at Liberty Park in Vestavia Hills is just one stop on this year’s Parade of Homes. But Liberty Park Joint Venture officials plan to show off more than existing houses. 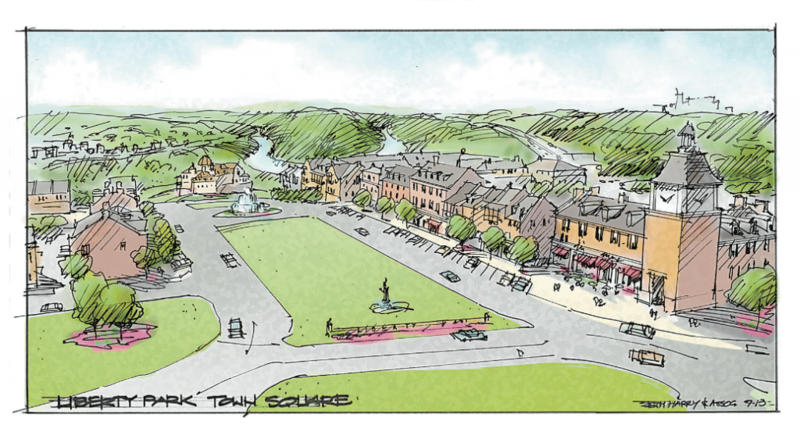 Planners are releasing more information about Liberty Park’s final stage of development, a mixed-use addition to the “live, work, play” community called Town Village. Thornton said planners are in the process of branding the new phase of Liberty Park, but she said the architecture and theme will reflect the rich tradition of Birmingham. The village will include 18 four-story townhomes with elevators plus businesses to serve residents and visitors. Town Village planners hope to provide residents with all they need right outside their doorsteps – restaurants, gym, grocery and gas station. A specialized convenience store called Moore Oil is under development and is anticipated to open in the fall. On Tap Sports Café is expected to open about the same time. 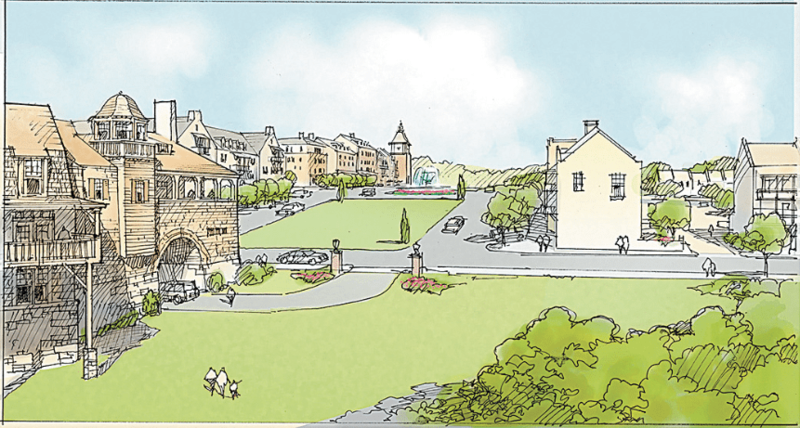 The 6,000-square-foot, two-story, Tudor-style restaurant will have outdoor seating with a fireplace and live music. Anytime Fitness will be moving to Town Village from its current location on Overton Road. This larger facility will offer advanced physical training and classes. While planners are not ready to disclose the name, grocery store development is also in the works. In addition to residential and commercial construction, planners have made greenspace a priority. A park the length of three football fields will provide recreational opportunities. View up main square, Town Village in Liberty Park. At this spring’s Parade of Homes, Liberty Park planners will offer a preliminary preview of plans for Town Village and showcase new floorplans of their existing residences. She said the Logan is popular because of its open floorplan with one-floor living. Thornton said she expects visitors to be particularly excited about the new Clayton layout because of the optional elevator feature.